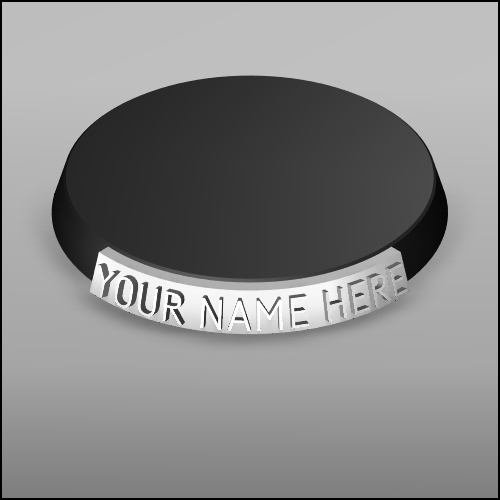 We will be offering 3 Name Plates styles to choose from. In some cases a 180 degree arc version will also be available. The number of characters allowed per name will depend on size and style. More of a blank canvas, it will suit any theme. So its great for blending into any style base. It has 2 notches (shown) to indicate a 90 deg fire arc. Because of its plain surface, it is able to take a maximum of 14 characters (for a 32mm). The most detailed in our lineup. 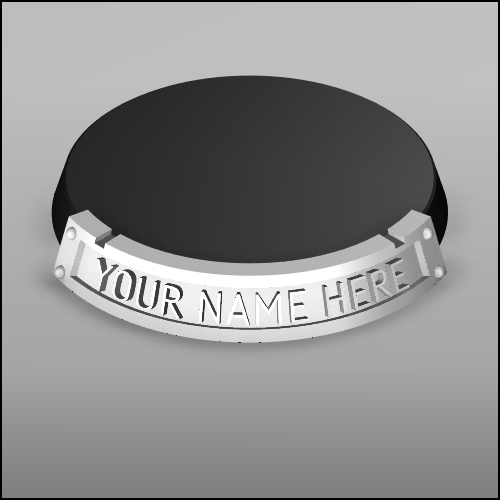 It has added rivets, and is ideal for an industrial and armour theme. It can take a maximum of 13 characters (for a 32mm). This is a slimline, 'no frills' plate, for those of you who want something that's a little more subtle. Its also great for gamers who are concerned about base to base contact. Because its not as high as the others, its perfect for bases that may have overhanging detail. Its 3.1 mm in height, and extends 1mm from the edge of your base. So it wont stand out as much. It doesn't sport any notches as its size fits perfectly in the 90 deg arc range. As this one is smaller than the others, it is able to take a maximum of 12 characters (for a 32mm).